Advanced technology and skills have been adopted to manufacture high quality and reliable JNBK brake parts. 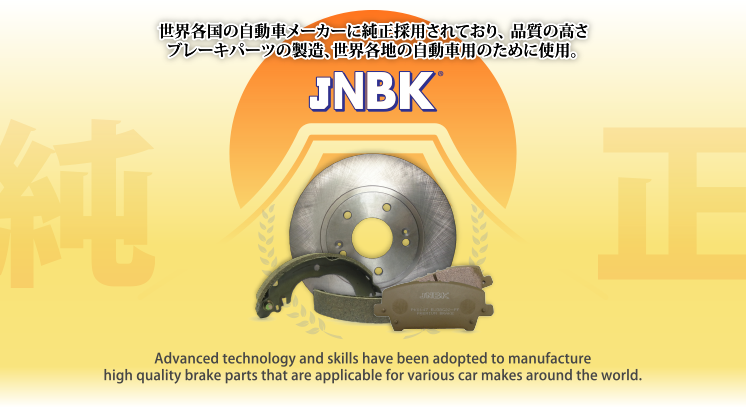 JNBK brake parts are manufactured specifically applicable for a wide range of automobiles by world’s automakers, mainly Japanese automakers’ vehicles, as well as Korean, European, American, and other Asian automakers’ vehicles. Dedicated to the building up of revolutionary brake products.